Photo caption: Bilberries are anthocyanin-rich. Eating a daily portion of berries including lingonberries and bilberries can help prevent heart disease according to a new review. Our diet plays a pivotal role in chronic diseases. The role of antioxidants in chronic disease prevention has been long studied and researched (1). In particular, the consumption of anthocyanin-rich berries has been shown to promote cardiovascular health (2). Anthocyanins are coloured pigments found in berries, that act as anti-inflammatory and anti-oxidative agents, which may protect against disease. A recent meta-analysis observed the effects of berry consumption, including lingonberries and bilberries, on a variety of cardiovascular risk factors and biomarkers (2). Of the 45 studies included, 2,053 participants in 32 trials displayed improved blood lipid biomarkers after berry consumption, including a reduction in low density lipoprotein (LDL) cholesterol levels and an increase in high density lipoprotein (HDL) cholesterol levels. Also, a reduction in blood pressure and arterial stiffness was noted amongst study participants, possibly due to the quercetin in berries. 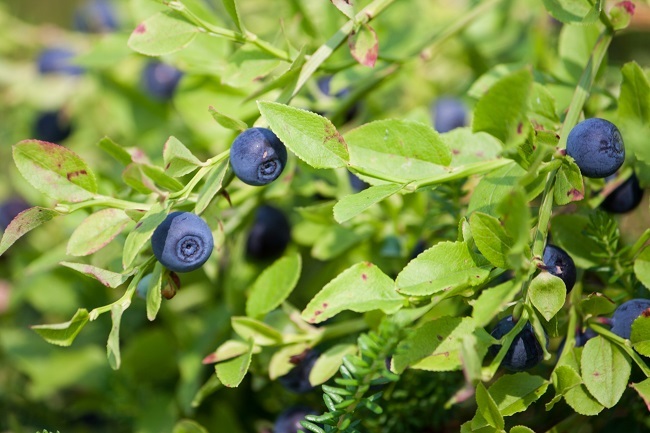 Lingonberries and bilberries contain high amounts of bioavailable quercetin (3). Additionally, study participants displayed reduced inflammatory biomarkers, such as CRP and TNF-alpha, after consuming the berries. Thus, anthocyanins may lower cardiovascular disease risk, as demonstrated by the research. Although the included trials focused on the benefits of the anthocyanins, other nutrients found in berries may also contribute to heart health, such as the presence of selenium, zinc, iron, and manganese. As the mentioned studies supplemented the participants with varied doses of berries, it can be difficult to pinpoint the optimal dose of berries that can exert a beneficial effect. Further research is required to test the dose-response effects of berry intake on cardiovascular risk factors. However, due to the review noting several nutrients that support heart health, it may be beneficial to incorporate berries such as lingonberries and bilberries into your diet to help prevent cardiovascular diseases. 1) Scalbert A1, Johnson IT, Saltmarsh M. Polyphenols: antioxidants and beyond. Am J Clin Nutr., 2005, Jan;81(1 Suppl):215S-217S.